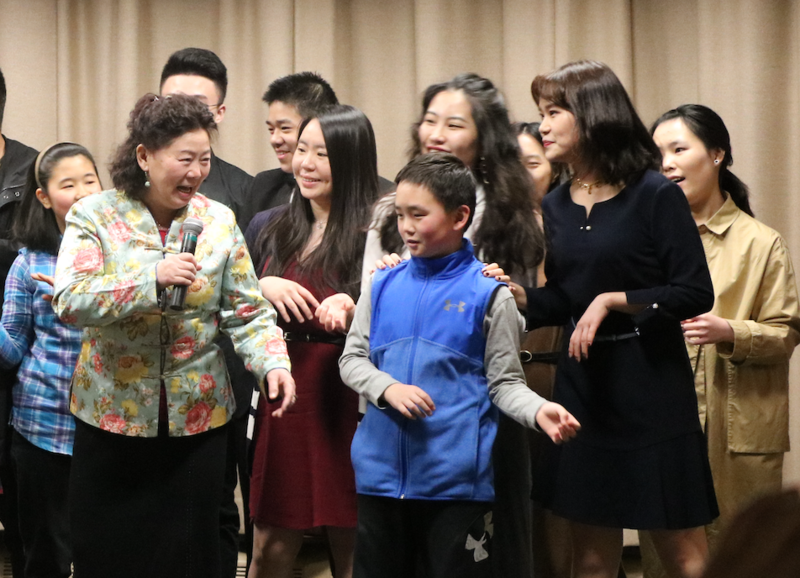 On Feb. 2, 2019, the Chinese Student and Scholar Association (CSSA) hosted a Chinese New Years celebration in the Kirby Ballroom. The event included classical music and singing performances, activities and traditional Chinese food. As a kid CSSA member Xiaojing Liu would celebrate with family; set off fireworks with cousins and eat smoked sausages and dumplings. Usually celebrating the New Year consists of dinner with family and playing Mahjong, a traditional tile game from China. Another Chinese New Year activity is the tradition of receiving red envelopes. Elders hide money inside and give the envelopes to children for good luck in the new year. At the event the hosts guided guests to try and make their own red envelopes folded into pig heads. For some students it went better than others. The celebration is a reminder of home for Liu and other international students. “I can also eat some Chinese food at this event and watch the shows which make me feel that I am not the only international student,” Liu said. Served at each table were tin foil trays of Stir Fried Green Beans, Shrimp with Garlic Sauce, White Fish and Ginger, Vegetable Egg Rolls, Dumplings, and more. Lauren Harwood performing. Photo by Jakob Bermas. The Chinese New Year celebration, also known as the Spring Festival, officially starts on Feb. 5, 2019 and ends on Feb. 19, 2019 with a lantern festival. This year it is the year of the pig. To find out more about the Chinese New Year, visit here.